Robert Rodriguez To Direct ‘Jonny Quest’ At Warner Bros.
Jonny Quest is considered to be one of the most popular Hanna-Barbera cartoons. Since it was first launched back in 1965 two subsequent series, as well as a number of video games, have been launched. Now it’s time that the character gets its own feature film. In a new report, Robert Rodriguez has been named as the new director of the title film. Jonny Quest, which will be under the Warner Bros. banner, will also be written by Rodriguez along with Terry Rossio (Pirates of the Caribbean). More on this story below. According to THR, Rodriguez and Rossio will be rewriting a script that was penned by Dan Mazeau. Back in 2010, the series was nearly adapted for the big screen, and would have starred Zac Efron as the title character, with Dwayne “The Rock” Johnson playing Race Bannon. Inspired by radio serials and comics in the action adventure genre, including Doc Savage, Tom Swift, and John Carter of Mars by Edgar Rice Burroughs, Jonny Quest centered on a boy who would accompany his father on extraordinary adventures that took the characters anywhere from the deepest of oceans to the dark jungles. Created and designed by comic book artist Doug Wildey, Jonny Quest was the first animated action-adventure cartoon, with a heavy influence of comic book stylings. The show featured more mature themes, and more realistic art and characters than Hanna-Barbera’s previous cartoon programs. The success of the show spawned a host of copies for ABC, including Space Ghost, The Herculoids, and Birdman and the Galaxy Trio. 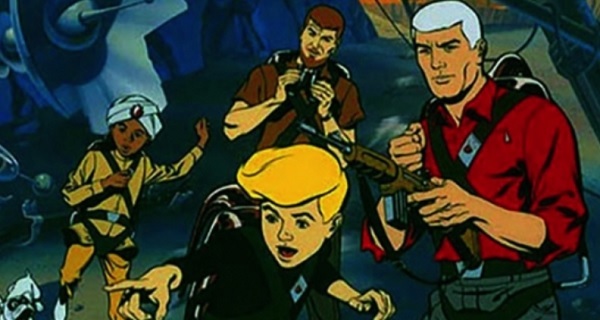 The series presented pre-teen Jonny Quest, who, along with mystical Indian friend Hadji, pet dog Bandit, Jonny’s super-scientist father Dr. Benton Quest, and government intelligence agent/bodyguard/pilot Race Bannon, investigated strange goings-on all over the world. Episodes of Jonny Quest blended mystery, adventure, action, intrigue, scientific marvels, and humor as the group traveled everywhere from the Sargasso Sea to equatorial Africa. Rodriguez isn’t an odd choice considering his filmography. In addition to From Dusk till Dawn, Sin City and Planet Terror, he also directed a couple of kid-friendly movies that range from the Spy Kids films to The Adventures of Sharkboy and Lavagirl. Given how successful the Spy Kids franchise was, Jonny Quest is the right fit for Rodriguez. Dan Lin and Adrian Askarieh are producing. A release date has yet to be announced.